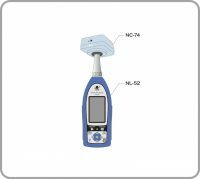 Use a combination of NA-42 and UC-29/UC-54/UC-31, NH series to measure high sound pressure levels. 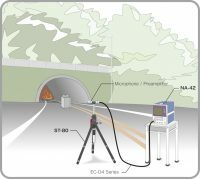 Perform long-term recording of time waveform in multiple channels. 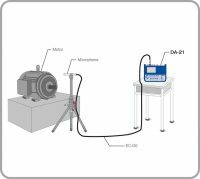 The data recorders DA-21 allow recording of time waveform data in multiple channels. 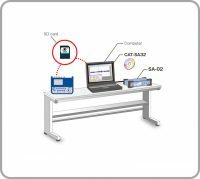 Using waveform analysis software, various types of filtering and other processing tasks can be applied to time waveform data recorded with an analyzer or data recorder. 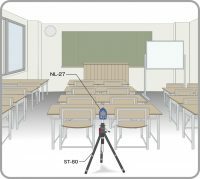 Using an acoustic calibrator or pistonphone, the entire sound level measurement system including the microphone can be calibrated. 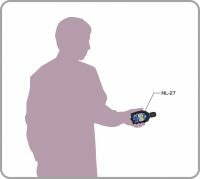 The NL-27 is an ultra compact, ultra lightweight general-purpose sound level meter. It can be easily carried in a shirt pocket. 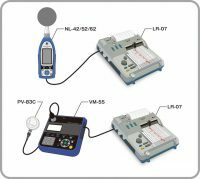 A level recorder is an analog device that transcribes time-based changes in sound pressure level or vibration level onto recording paper.